If you need a carpet cleaning service in Tampa FL look at the cleaning result from Chem-Dry of Tampa. Our hot carbonated extraction cleaning service can clean the toughest stains and leave your carpet practically dry. Hot Carbonated Extraction (HCE) is steam cleaning with a kick. Millions of tiny bubbles scrub your carpet with the added power of heat. It removes deep down soil leaving your carpet clean and fresh. 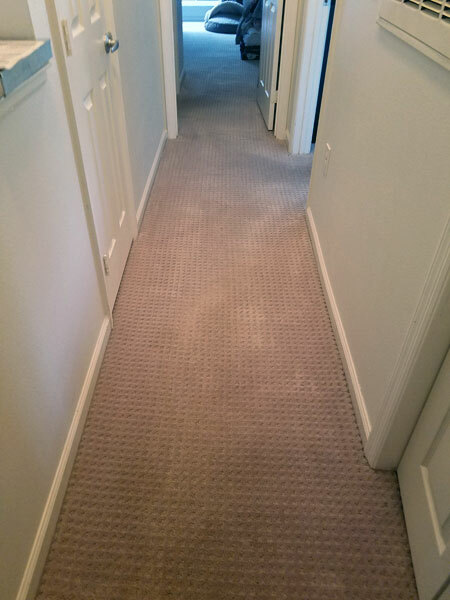 These photos were taken a carpet cleaning service in Tampa FL. 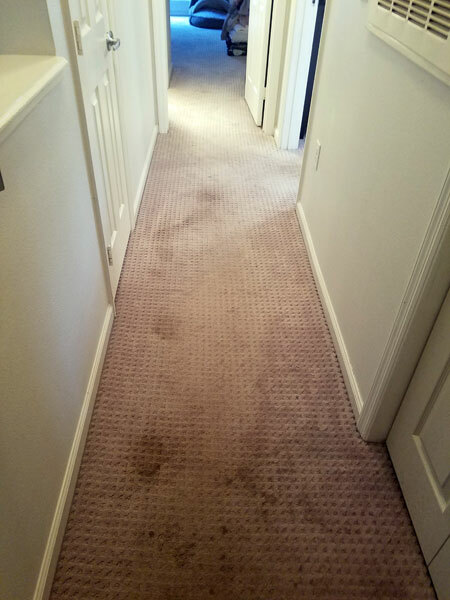 The carpet had been stained by the previous tenants dog and the current renter wanted to get the carpet as clean as possible. We cleaned it with a heavier than normal pre spray then cleaned it with our hot carbonated extraction cleaning process. We finished it off with our Pet Urine Removal Treatment called P.U.R.T. Our PURT does an amazing job of removing pet odor associated with urine deposits in carpet and upholstery. It's not a enzyme treatment that may or may not work depending on the biological make up your pet. It's an oxygen based odor destroyer that works at the molecular level to blow apart the odor molecules that are associated with urine. PURT can be added to any of our carpet cleaning services to ensure your carpet is odor free. These pictures speak for themselves. Another bonus is that our carpet cleaning service is green certified. It's safe for every member of your family, including your pets. Hot Carbonated Extraction is powerful, safe, fast drying. What else do you need in a carpet cleaning service? Need a carpet cleaning service in Tampa FL call Chem-Dry of Tampa.